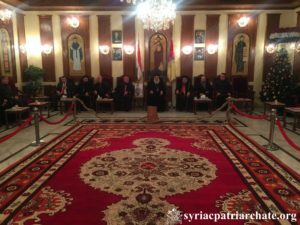 On December 22, 2018, His Holiness Patriarch Mor Ignatius Aphrem II received Heads of the Christian Churches in Aleppo, at the Diocesan Headquarters in al-Sulaymaniyye. The delegations included their Excellencies Archbishops: Archeparch of the Maronite Archeparchy of Aleppo Joseph Tobji, Greek Melkite Catholic Archbishop of Aleppo Jean-Clement Jeanbart, Syriac Catholic Archbishop of Aleppo Mor Dionysius Antoine Shahda, Apostolic Vicar of Aleppo for the Latins Goerges Abou Khazen, Chaldean Bishop of Aleppo Antoine Audo, Armenian Catholic Archbishop of Aleppo Boutros Marayati, as well as Archimandrite Mousa al-Khasi, Vicar of Metropolitan of Aleppo and Environs for the Greek Orthodox Church Boulos Yaziji, and Rev. Ibrahim Nseir of the Arab Evangelical Presbyterian Church of Aleppo. 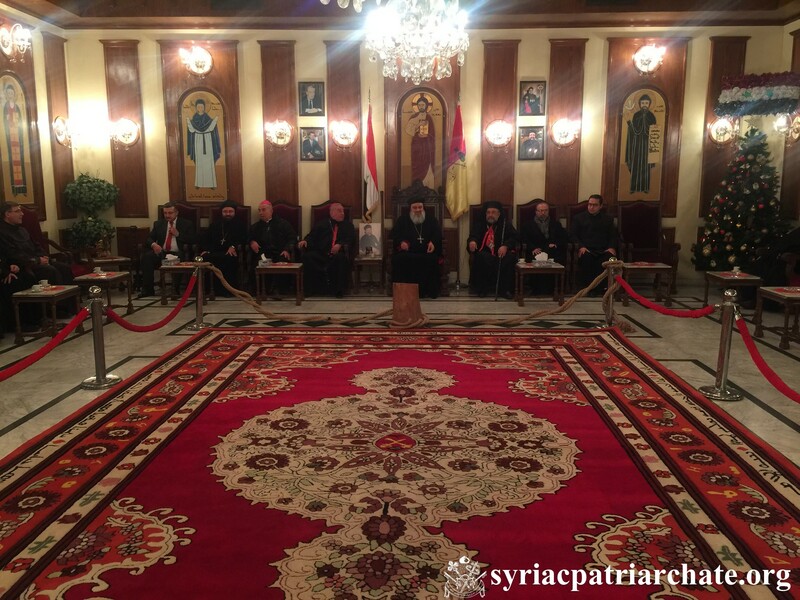 The delegations welcomed His Holiness in Aleppo, and conveyed to him Christmas greetings, wishing him all success in his visit.